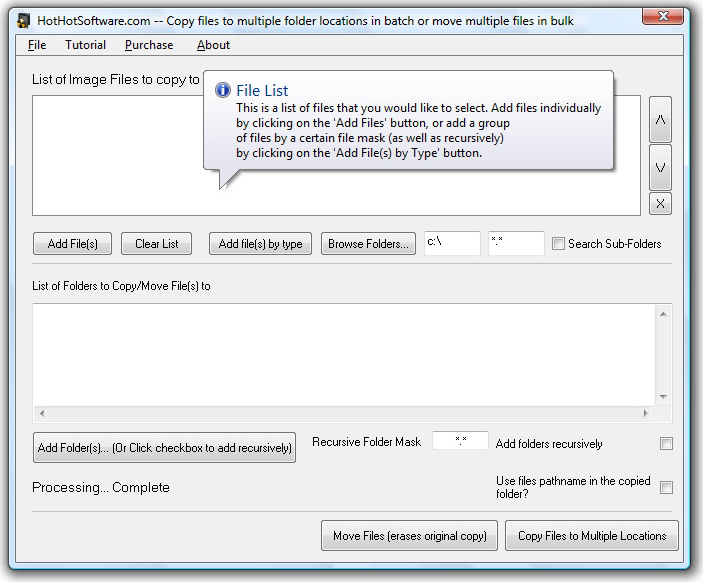 Copy files to multiple folder locations in batch or move multiple files! This handy app features a graphic interface that makes file management manageable. 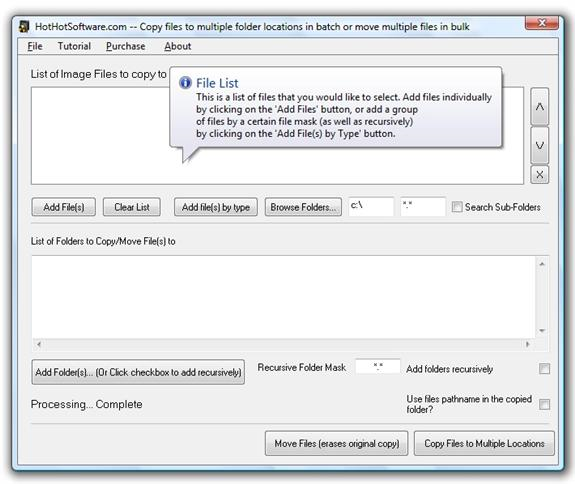 You simply compile the master list of files from anywhere on you computer then opt to copy or move them to a new location. If you select copy, it'll leave the original files in their original locations and put the copies in the new desired location. If you select move, it'll move the entire list of files out of their previous locations and into the new one. Simple as that. For larger jobs, there is a "sort file by type" option that will make short work out of sloppy filing. So you can stop organizing and start working! Select files to copy and/or relocate from any location on your computer. Maintain the structural integrity of existing sub-divisions within any given folder upon its copy or relocation. Work quickly to organize files. Search folders, sub-folders and file type. Mitch K I couldn't wait for this offer. This is probably one of the best utilities ever offered by BDJ. Safely Remove has made all of my USB device "pain" go away. The Ultimate File Management Tool, Invaluable for Coders!